10 Things You Might Not Know About SUPER MARIO BROS. | Warped Factor - Words in the Key of Geek. 10 Things You Might Not Know About SUPER MARIO BROS.
Geek Dave swings his arms from side to side. Come on, it's time to go. Do the Mario! 1. The story of Super Mario Bros. begins with Jackie Chan! Well, kind of. In 1984 Jackie Chan starred in a movie called Spartan X (retitled Wheels On Meals everywhere else in the world), which had its own video game tie-in called Kung-Fu Master that was released for a variety of home systems. 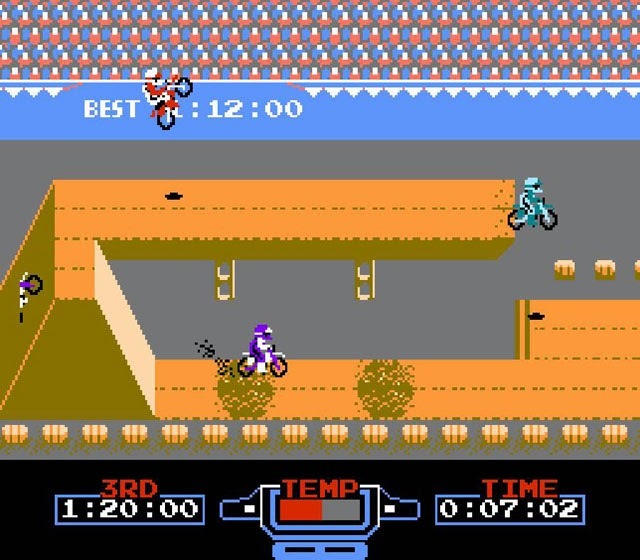 Shigeru Miyamoto, the man behind many of Nintendo's biggest hits, was involved in the NES port of the arcade game (for no apparent reason they dropped the Master from the title, just calling it Kung-Fu). Miyamoto liked the smooth scrolling, bright colorful backgrounds and the agile character developed for Kung-Fu, and felt it really set it apart from most games at the time, so he started thinking about creating an new game in this vibe. A game that was intended to be the big farewell title for the machine. 2. You're possibly thinking "Wait, what? 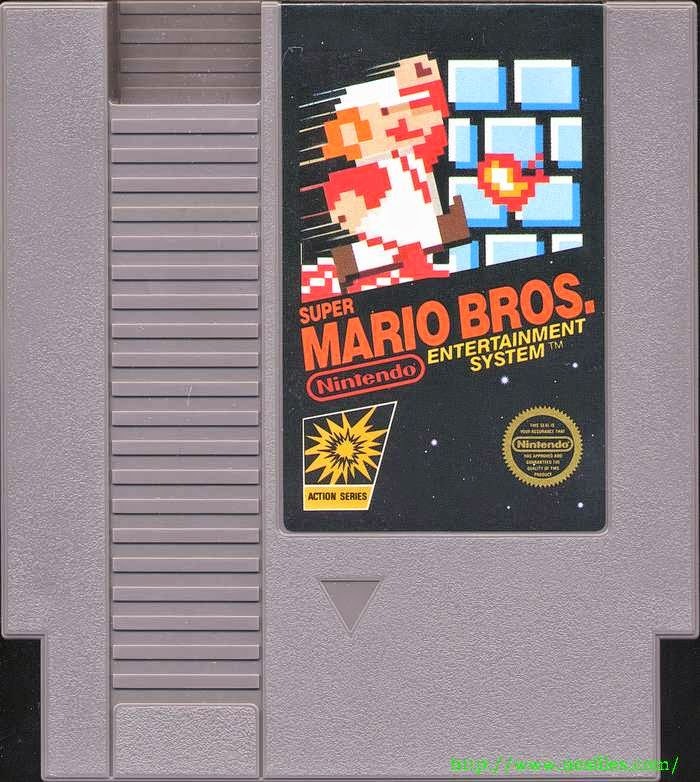 Super Mario Bros. was the first game for the NES!". 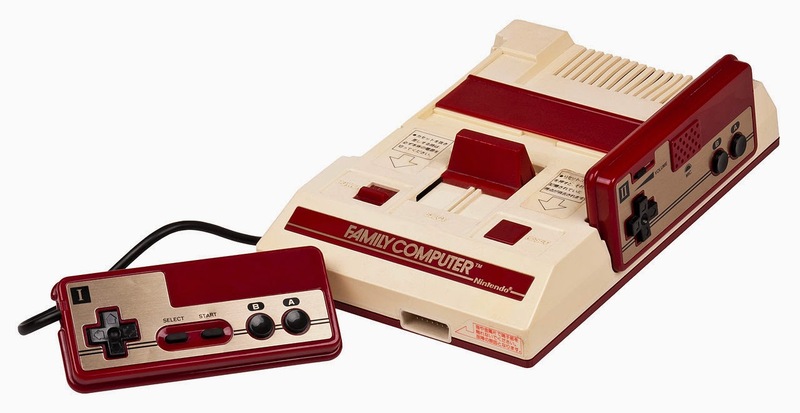 Well it was here in the Western World, where it was successfully used to launch the Nintendo Entertainment System, however the console it was based upon, the Nintendo Family Computer, had been out for several years in Japan. The "Famicom" was released July 15th 1983 in Japan, the NES arrived on October 18th 1985 in the US and September 1st 1986 in Europe. So by the time we Westerners got our hands on the kit Nintendo was already planning to replace it (something they did in Japan only with the Famicom Disk System). So, basically Shigeru Miyamoto set out to make one last epic game to say goodbye to the Famicom. 3. 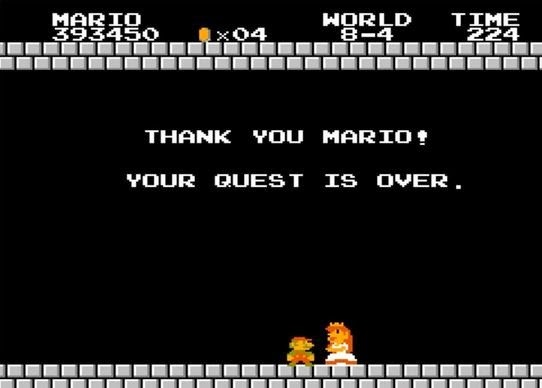 Right up until near the end of the development this new epic game didn't feature Mario at all. In fact the almost completed version just had a blank rectangle in the place where the plumber would eventually go. Stuck without a central character, Nintendo's past releases were analysed. 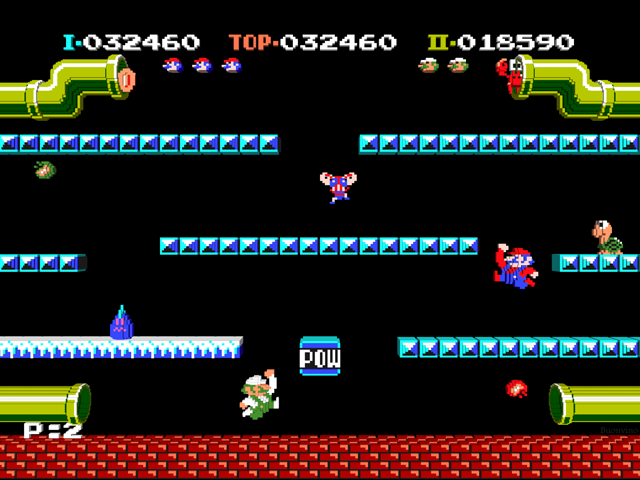 The original Mario Bros (the one in the sewers - above) had not been a massive success, but it had continued to steadily sell new cartridges across a variety of platforms as well as having a longer than average arcade life, so it's Italian star was added into the new game. 4. Shigeru Miyamoto is kind of a genius. Whilst working on Super Mario Bros. he and his team were also developing The Legend Of Zelda, and they borrowed certain elements from that game to use in SMB. In fact, although The Legend Of Zelda was actually released 5 months after Super Mario Bros in Japan (and a couple of years later in the US/Europe), the actual game development was well ahead. So, to speed things along some of Zelda's elements were reused in SMB. For instance, take a look at those iconic firebars above - developed originally for Zelda! 5. 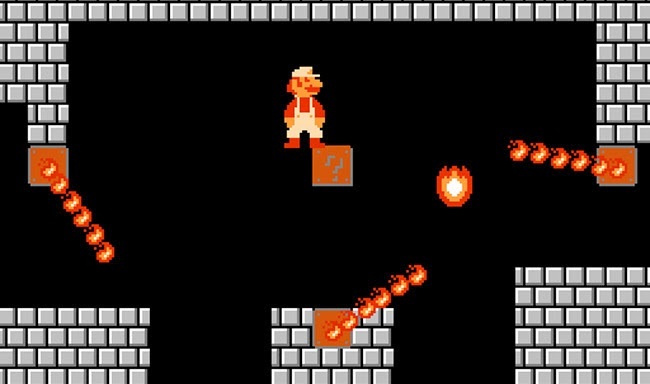 So we've had Jackie Chan and Zelda, what else played an influence on Super Mario Bros.? Well, remember Excitebike? 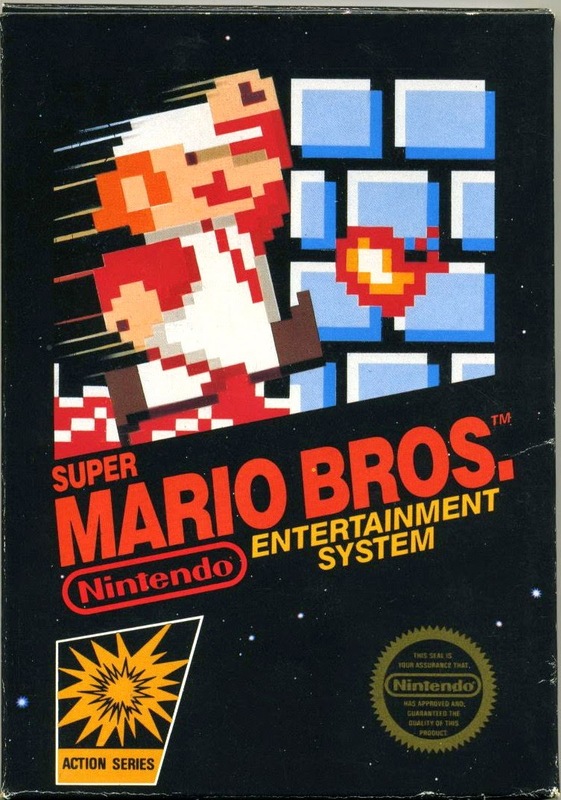 It was a game that Shigeru Miyamoto had developed straight after Kung-Fu whilst planning SMB. In it you’re free to choose any one of the game’s three courses right from the start. So you can go straight to the hardest track if you like, no having to repeat stage after stage to get to what you want. Miyamoto liked this idea and decided to include it in his next game, but whilst programming Super Mario Bros. he feared that players would jump straight in at level 8 without evening learning the basics. So the Warp Zone was developed. The Warp Zones would add a quick route to the end of the game, but not before playing Worlds 1-1 and 1-2. 6. However, thanks to one of the biggest glitches in gaming history it's possible to enter a Minus World via the Warp Zone at the end of World 1-2. Check out the video above. 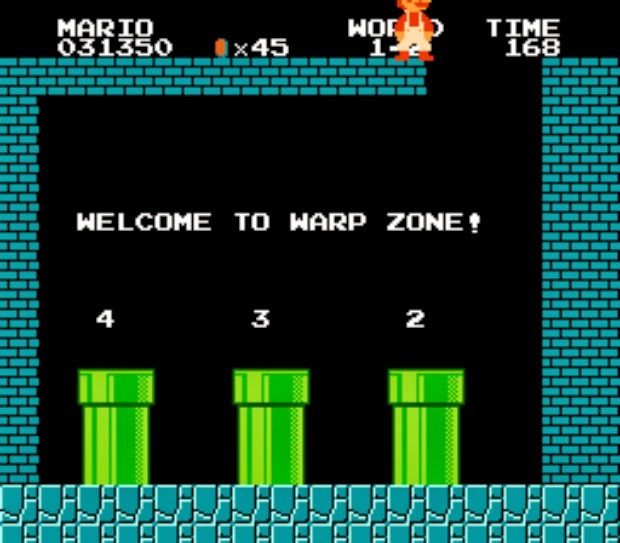 Basically if you judge it right you can pass through the wall at the end of World 1-2 and get to the first Warp Zone via a method the game never intend. Then is you enter the far left pipe and you’ll enter World -1, which is an infinitely looping underwater stage. In the Famicom Disk version of Super Mario Bros. Nintendo decided to do something about the glitch. But rather than remove it, they enhanced the experience. Now you can complete World -1 and go on to -2 and -3. If you finish that you unlock the Hard Mode for the main game. ...that sprite is lifted from Donkey Kong, it's a version of Mario which doesn't even feature in the game at all. The capacity of that cart was 256-kilobits. Yep, the whole game fitted on a tiny 256-kilobit cartridge. If you don't know your bits from your bytes that transfers to 32 kilobytes. The image of the cartridge above is 76 kilobytes, meaning you would need three of those cartridges to store it on! 9. So with just 246-kilobits to play with there was a huge amount of recycling going on in Super Mario Bros. 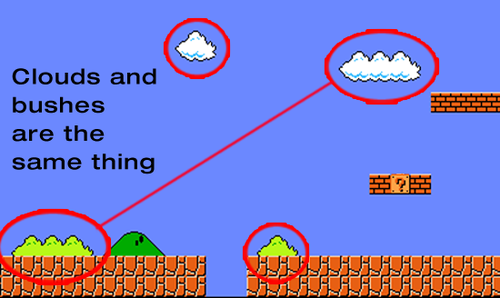 The clouds and the bushes are the same sprite coloured differently, the outside of Bowser's castle is a combination of the smaller castle sprites, and many of the sound effects serve duel purposes, including descending a pipe/getting smaller. 10. 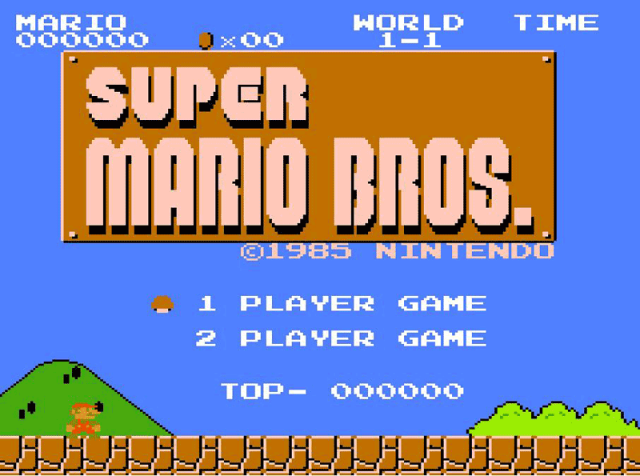 To date Super Mario Bros has sold 40.24 million copies (although that does include the cartridges bundled with the US/European NES consoles). It remained the biggest selling game of all time for over 20 years, until another Nintendo title took its crown - Wii Sports, which at last count had shifted 41.65 million units.